14 1/2 x 19" Poly Mailers. 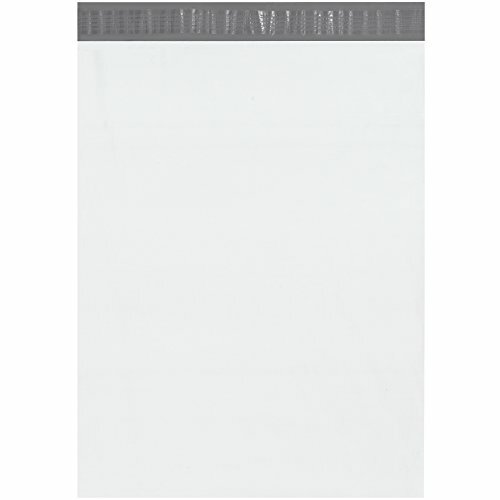 Strong polyethylene mailers protect products from moisture during shipping. Mailers are puncture, water, tamper and tear resistant. High strength seams will keep contents intact even if over packed. The outer surface of the mailer is white and the inner lining is silver. Labels stamps and ink adhere well. Self-seal. 4500 total mailers. 18 cases of 250 mailers per case. 18 cases of 250 mailers per case. 4500 total mailers.